Successfully Added Full Protocol Professional OBD-II Car Code Reader - CAN, PWM, VPW, KPW, ISO9141 to your Shopping Cart. Full Protocol Professional OBD-II Car Code Reader (CAN, PWM, VPW, KPW, ISO9141) is here and ready to help you save money as it easily and instantly detect problems with your car before they turn into huge repair bills. Even the most complicated problem will seem easy with this Professional OBD-II Car Code Reader since it will tell you exactly what's going on with your vehicle. Not to mention, this special Full Protocol version is designed to work on all OBDII compliant vehicles (including the CAN, J1850 PWM, J1850 VPW, ISO9141 and KWP2000 protocols), so you can be sure it works with yours. 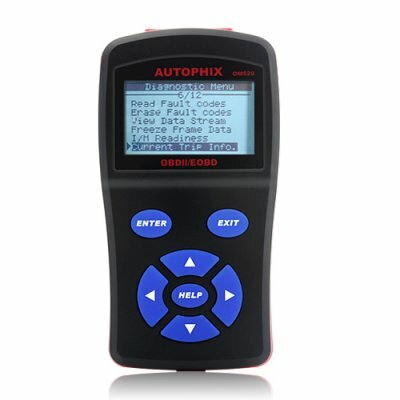 OBD stands for "on-board diagnostics," a computer-based system built into all model year (MY) 1996 and newer light-duty cars and trucks. OBD monitors the performance of some of the engines' major components, including individual emission controls. The system provides owners with an early warning of malfunctions by way of a dashboard "Check Engine" light (also known as a Malfunction Indicator Light or MIL, for short). By giving vehicle owners this early warning, OBD protects not only the environment but also consumers, identifying minor problems before they become major repair bills. The OBD-II code scanner reads information from your car and is powered directly with no need for batteries. 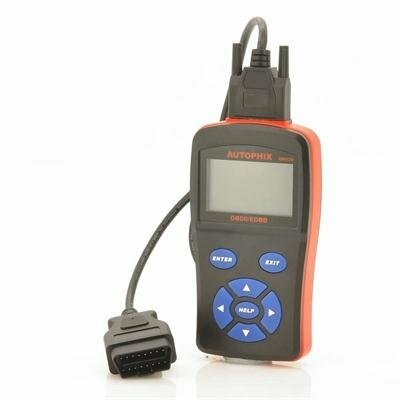 By using the code reader you can navigate through the friendly user interface using 7 rubber buttons and the LCD display will show error codes and descriptions to let you know immediately what problems your vehicle has. With this Professional OBD-II Car Code Reader, you can also eEasily determine the cause of the “Check Engine Light (MIL)” as well as display live O2 sensor test data, on-board monitor test results and display current trip information (distance, fuel used, average speed, etc.). For the fastest and most affordable solution to self-diagnostics for your car, the Full Protocol Professional OBD-II Car Code Reader is here. This product is in stock and can be dispatched within 24 hours of ordering with a 12 month warranty. Brought to you by the leaders in wholesale electronics and car diagnostic tools, Chinavasion. As the wholesaler, we only provide the OBD-II device. Chinavasion provides no customer support regarding its use. We cannot give advice regarding how to read codes or tell you if your model car is compatible with this particular product. If you have questions regarding the use of the Car Checker Code Reader for OBD-II we suggest you search for internet forums related to car maintenance. Easy to use with the big buttons.And easy to navigate the menu and sub menu's. It tells you what the codes are and what they mean. This is not a substitue for a mechanic merely an aid,But a good aid nevertheless. VERY GOOD ITEM TO FIND THE PROBLEM IN THE CAR.